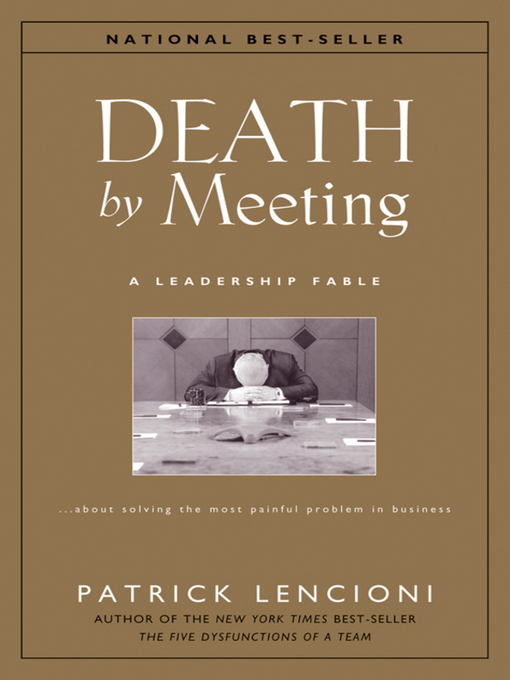 I discovered Patrick Lencioni’s book, Death By Meeting, while employed at Texas Health Partners. The problem is one many leaders face, how to control the onslaught of uncontrolled meetings. Upon finding the book and digesting its pages, the strategies outlined were compelling and worth investing in. I made the personal commitment to try it see if it made any difference. I gave it three months and moving on if unsuccessful. After transitioning, I was astonished how it changed me and my team. Start with daily stand up meeting. We hold it daily at 9am. Focus on what is happening today. The initial goal is getting the team to think tactically about what needs to be accomplished today. Second goal, learning how to communicate to team members and optomize schedules. After three weeks, the team had embraced. Next was scheduling the weekly tactical. We hold it Monday’s at 11am. All IT is invited. I take minutes. This meeting serves two purposes: What was accomplished last week and what each team member is working on this week. Items unresolved are tagged for follow-up next week. Everyone listens. This meeting takes time to bear fruit as the teams are forced to think through planning their week, highlighting the support issues, and talking about the accomplishments. Or lack thereof. The meeting breaks down into three parts: Lightning round (2 minutes per team member), KPI/Reporting Review, and Adhoc-Agenda. Don’t let this meeting exceed 90 minutes. The monthly strategic is the “discuss, analyze, brainstorm, and decide upon critical issues affecting long-term success” meeting. Limit to 2-4 hours, one or two topics, prepare and do research, and ensure participants are engaged in good conflict. The quarterly strategic is the “review strategy, industry trends, competitive landscape, key personnel, team development” meeting. Critical meeting, so get out of the office, focus on the work with limited social activities, and limit the structure. The key is developing leadership cohesion, communication, and working together making decisions. Strategic meetings will be difficult initally as many will question their value, not want to work collectively, and political leaders will try their hardest to avoid the meeting citing priorities and work while depreciating you and the effort. Watch for this. These meetings fail if not everyone is all in. Culture is king and continual education of the message, the process, and the goals are keys to adoption. At Texas Health Partners, I cut meetings down by 60% in the first year. 70% the second year. My monthly meetings capped at a dozen per month my last year. At Santander Consumer USA, I got leadership buy in the first year and the adoption took six month with considerable resistance culturally. My last year, my meeting were again at the highest point twelve per month and the teams were routinely sharing information tactically. A Santander first. Mileage will, of course, vary by leader. This month’s milestone marks when I attempt to introduce Strategic meetings at LANBVERA. More to come on my progress. Add the book to your reading. Feel free to email or comment to ask questions.